MyPassLock stores all passwords in one secured location so you know where to look at all times! No need to reset passwords ever again because they are forgotten or misplaced. Quick one-click lock down option to allow you to work with MyPassLock always open and on, and maintain your privacy on the go. Quick and easy search feature to allow you and easy find of your forgotten passwords by category; partial name and more! The password strength analyzer assits in creating strong passwords, via combination of uppercase, lowercase letters, numbers, and characters. No more forgotten or misplaced passwords! Windows® 7, Windows® 8, Windows® 10. MyPassLock is designed to securely store your passwords in one centralized location. Simply remember the master password and all stored information is just seconds away from being accessed. 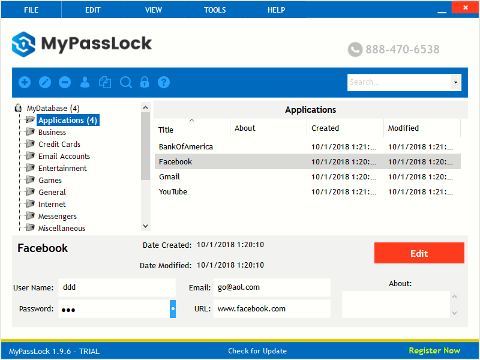 MyPassLock organizes passwords by category for you and is easily configurable and customizable, allowing you full flexibility in managing your user name/passwords records. 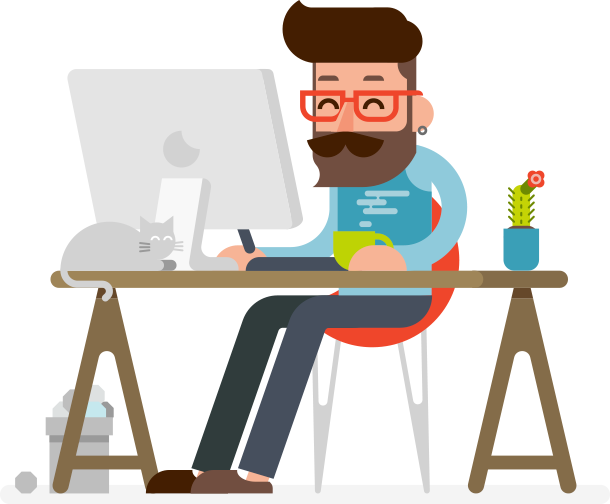 MyPassLock setup is imple and only requires the creation of a master password and an email address (in case the master password is forgotten). MyPassLock is a time saving solution that stores all passwords in one place. No more time wasted remembering where you wrote down your passwords. MyPassLock saves time by keeping your passwords in one location on your computer. No need to look for those pieces of paper where you wrote down all of your passwords anymore, all passwords are contained within Password Manager. With Password Shield you do not need to close the program every time you want your passwords to remain secure. There is a lock workspace button, (it looks like a padlock), on the home screen that gives you the option to lock Password Shield while the program is still running. This option comes in handy when you have to leave your computer for any reason, or if someone else has access to your computer. To unlock, simply enter your master password. If you forget which label you placed your password under, use the search option to locate your file within Password Shield. This option saves time and makes using Password Manager simple and easy. Use the password analyzer to make sure your passwords are not too easy to guess! A strong password consists of uppercase and lowercase letters, numbers, and other hyphens. Password Strength Analyzer — included with MyPassLock! The trial versions of software products that are available for free download from this site are intended to diagnose your computer for security and/or performance problems. Most problems may be corrected by purchasing our software products and/or remote technical support services. Computer security and performance improvements will vary depending upon the condition of your computer, the software you are using, and other factors outside of our control. These factors may be such that our software and/or services will not be able to remedy the problems with your computer. There will be a one-time charge to activate MyPassLock of $19.99, followed by monthly charges of $19.95, which may include live technical support and free anti-virus. RealDefense may offer other products and services when you call us.